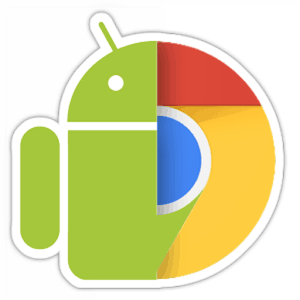 You might be excited after reading the above title and want to learn how to use android apps in google chrome. There are many methods to download and run android apps in pc but this method which uses google chrome to run android apps is very easy and light weight but one drawback is it does not support messaging app yet and you need to convert apps manually to work in chrome , though I have mentioned a link where some apps are already available in converted form.Also Make one thing clear that this is not official way to run apps in chrome but one developer build chrome extension to run android apk in computer. And another great thing is this extension does not only supports windows but linux and mac too thus I think for non-windows users this is only trick to run android app in computer. So lets talk about this amazing trick. You need to download ARChon Chrome extension . Remember that this is not official extension and may be unstable for your system so try at your own risk though it is very unlikely to happen anything. It supports for both 32 bit and 64 bit so don’t worry but download according to your system. After downloading the extension, extract it . Now open chrome and go to Tools > Extension. At the top , check the Developer Mode. Now Click on Load Unpacked extension and select our downloaded extension. After pressing Ok , it will start installing extension. During installation , you may see some errors, ignore them and go ahead. Here you need to install android apps in chrome to use it but for that you need to convert the app to work in chrome. It is easy . Here I have two shown three methods to install android apps in google chrome. Some apps are converted already by developers and you need to simply download it and install further. Go to this link to see the list of converted apps with links to download. After downloading the app file , simply extract it anywhere and now go to Tools > Extension in chrome and click on Load unpacked extension and select the extracted app file . This will install app automatically in your chrome. Now enjoy the android app in chrome of your computer. This is bit handy way to convert android app using special android app only. For that obviously you need to have android phone. Download :ARChon Packager in your phone and install and open it. Select any relevant one and start converting. Now take file into computer using USB cable and use the above method to install. There may be the case you don’t have an android phone and that’s why you may be reading this tutorial then in that case we have another method to convert the app. 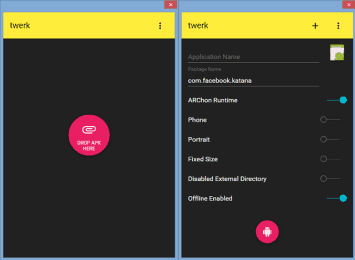 You will use a chrome extension so download Twerk from the Chrome Web Store and install. Open the twerk app in chrome and if you don’t know from where to open then simply go to chrome://apps by writing it in your URL bar and pressing enter. Now in the above twerk extension , you have to browse and select the downloaded apk file and go ahead and start converting. It will give you the converted file to download. Now you downloaded the converted file. Use above methods to install converted android apps in chrome. So these are the easy ways to install android apps in chrome in computer which worked well for me. Remember that messaging apps will not work here. I hope you don’t have any doubts but if it is then feel free to comment below and also please share this in facebook to support us.